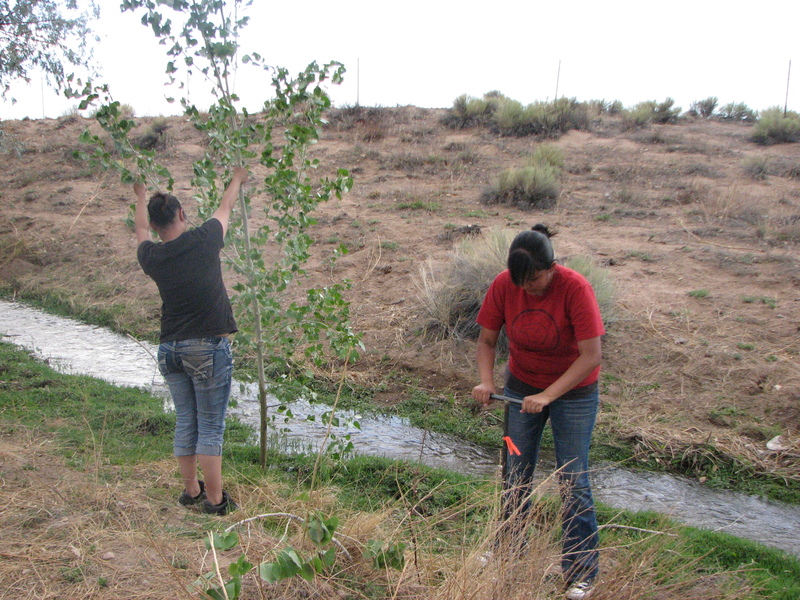 The long-term objective of this project is to support the improvement and restoration of the Santa Fe River in culturally-appropriate ways based on Cochiti Pueblo values for generations to come and assist with various resources and land management practices currently being utilized on the pueblo. We have initiated fluvial geomorphological assessment of lower Santa Fe River, created maps and metrics for new woodlot from thinning crew for Firewise communities. More news coming soon from intern blogs…. Who can apply: 16-25 year-old students, education or job experience in Natural Resource Management or Environmental Science is preferred but not required. Students from Cochiti or neighboring pueblos will be given preference but is not required. Interns will work with River Source staff under the guidance of Cochiti Pueblo DNR staff on the improvement and restoration of the Santa FeRiver. Water quality sampling and monitoring. 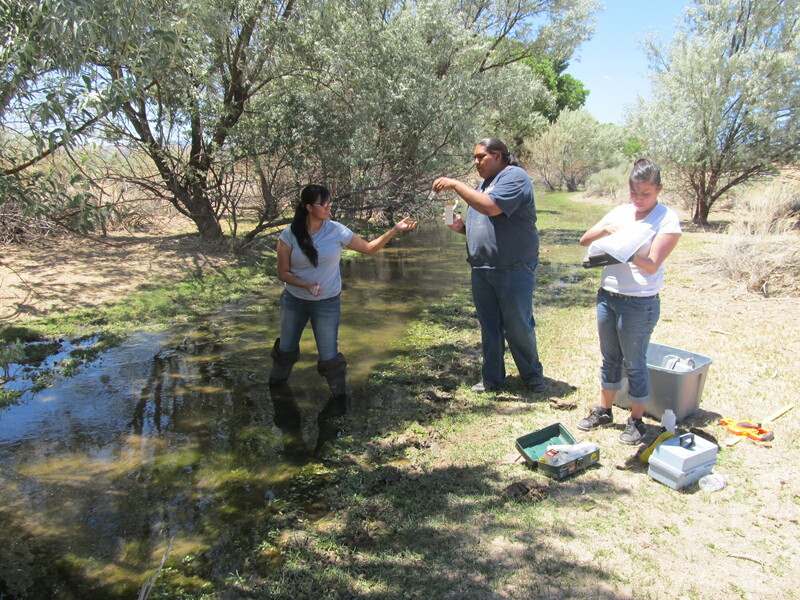 Including chemistry, biology, and physical aspects of water and riparian monitoring. Using Cochiti DNRC Project Monitoring Standard Operating Procedures for Photo-point Monitoring; Use GPS to locate old Photo-points and continue photo monitoring of riparian area along the Santa Fe River. Transferring data including GPS coordinates, copies of field data sheets and summary analyses of the data to Cochiti DNR. Assist in planting or propagating desired plants such as wild spinach, cottonwoods and willows. Fencing riparian areas and trees to protect from livestock and beavers. Develop skills for working with neighboring tribes in land and resource management. Assist DNR staff with other tasks as needed including mending fences, cleaning up dead and down materials and breaking down beaver dams to keep water flowing (if necessary), attendance at cultural events, and helping with Feast Day preparation (if the timing is right).